Instagram Adds the Ability to Share Stories with Only A Close Group of Friends - Instead of sharing Stories with everyone, Instagram is now handing you the ability to send some specific Stories to a private group of friends. 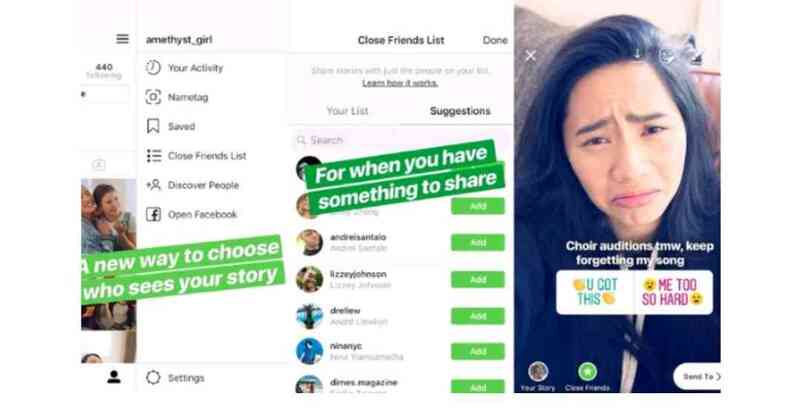 Called the 'Close Friends' feature, it's been designed to give users the freedom to share personal secrets or memes with only a select few people - who you can pick. To check whether you've received the feature, go to your profile and tap on the 'three lines' at the top right to see the newly added 'Close Friends List' option. You can edit your list from here and select the green-colored star icon while creating Stories to share it only with these users. This feature is currently rolling out to Android, as well as iOS users, and is expected to be available for everyone over the next couple of days.